Oh my! What an amazing World Cup performance the Dutch team put on today. As a Spain fan, it was torture to watch, but the Dutch definitely earned that victory. 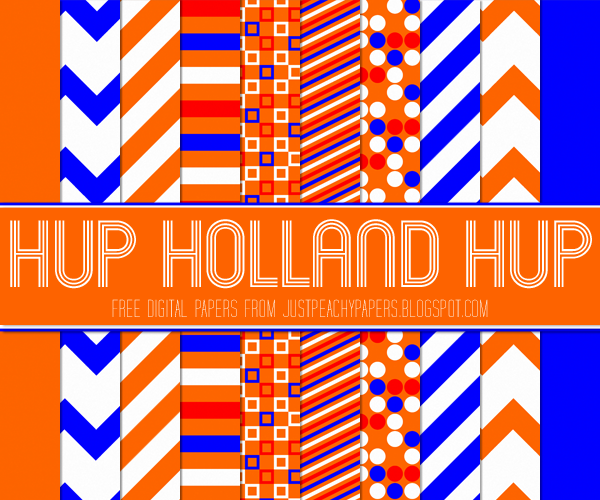 So, congratulations Holland, here is a free set of 12x12 inch digital papers in your honor! Just click the above image to download. Feel free to use these papers for any scrapbooking, crafting and digital design projects. You can also use them commercially, just please provide credit to Just Peachy Designs and include a link back to this website.